This study aims to evaluate the existence of the influence of organizational commitment, the competence of human resources and the utilization of information technology to the quality of the financial report of local government in DKI Jakarta Province. This research is a research quantitative with primary data sources in the from of questionnaires. A data sampling method is to spread the 95 questionnaires and the questionnaire used is 84. Data analysis performed multiple linear regression model with software SPSS version 25.00. The results of this research are based on multiple linear regression test and t test has shown that the commitment of the organization have positive but not significant effect to the quality Financial Report of Local Government of DKI Jakarta. competence of human resources have a positive and significant effect to the to the quality financial Report of Local Government of DKI Jakarta. while the utilization of information technology have a negative and insignificant effect to the to the quality financial Report of Local Government of DKI Jakarta. TAMPUBOLON, Fitri Mariana; HASIBUAN, Ahmad Basid. PENGARUH KOMITMEN ORGANISASI, KOMPETENSI SUMBER DAYA MANUSIA DAN PEMANFAATAN TEKNOLOGI INFORMASI TERHADAP KUALITAS LAPORAN KEUANGAN PEMERINTAH. OIKOS: Jurnal Kajian Pendidikan Ekonomi dan Ilmu Ekonomi, [S.l. ], v. 3, n. 1, p. 55-65, feb. 2019. ISSN 2549-2284. 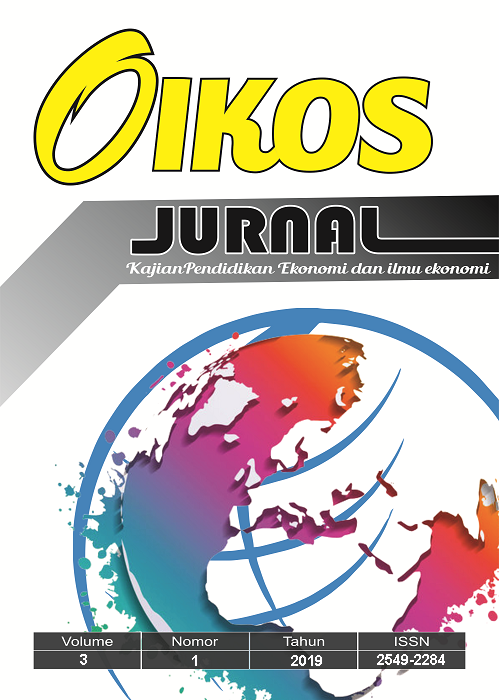 Available at: <http://journal.unpas.ac.id/index.php/oikos/article/view/1415>. Date accessed: 18 apr. 2019. doi: http://dx.doi.org/10.23969/oikos.v3i1.1415.